KORG ELECTRIBE Wave is bundled with a powerful collection of wavetable sound and provides an ideal platform for composing cutting-edge dance music. 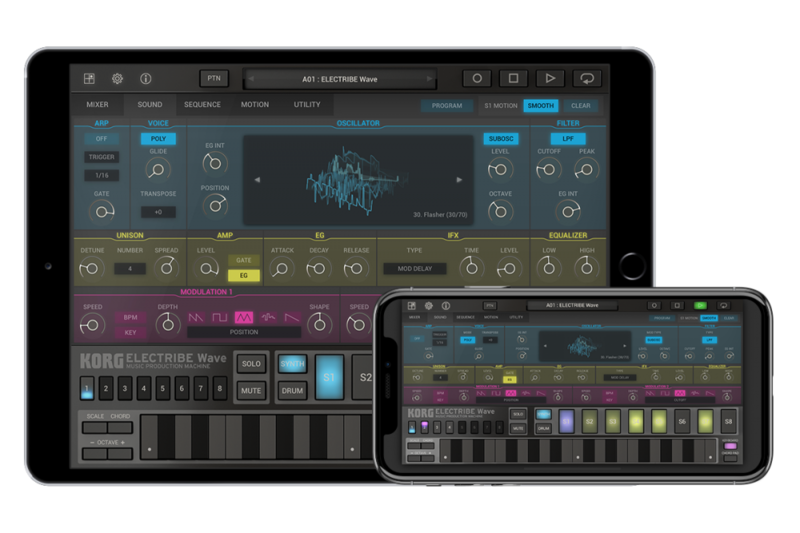 It features a novel and sharp wavetable sound in a streamlined graphical interface, allowing you to compose pieces on both the iPhone and iPad. ELECTRIBE Wave also now supports KORG Native Mode which automatically optimizes configuration when connecting to nanoKEY Studio, nanoKONTROL Studio, nanoKONTROL2, or nanoPAD2. There are also additional preset programs for quicker and easier track making. ・Now supports KORG Native Mode. ・Now comes with preset synthesizer programs. Due to the popular response to the special promotional pricing, we will extend the period of the "KORG ELECTRIBE Wave" sale which has been extended to October 15th (Mon), 2018. Act now and receive a great discount on ELECTRIBE Wave so you too can quickly compose cutting-edge dance music. Don't miss this great opportunity! Home News Now available for iPhone! 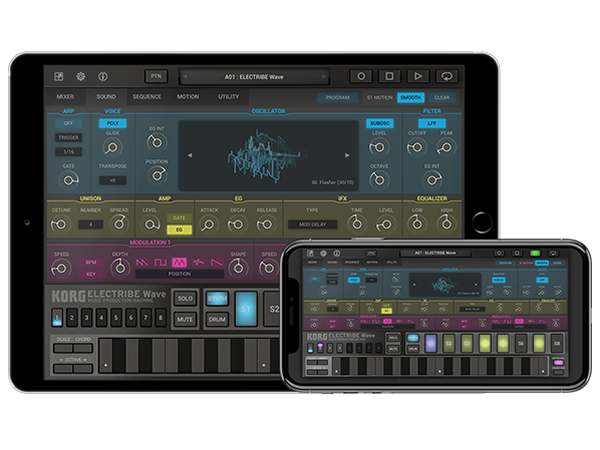 KORG ELECTRIBE Wave has been updated to the latest version 1.1 for both iPad and iPhone. Sale extended by popular demand.